In the Summer term, a group of children from Montalbo Nursery and Primary School interviewed local residents to find out about their experiences working at and travelling on the Barnard Castle railways. 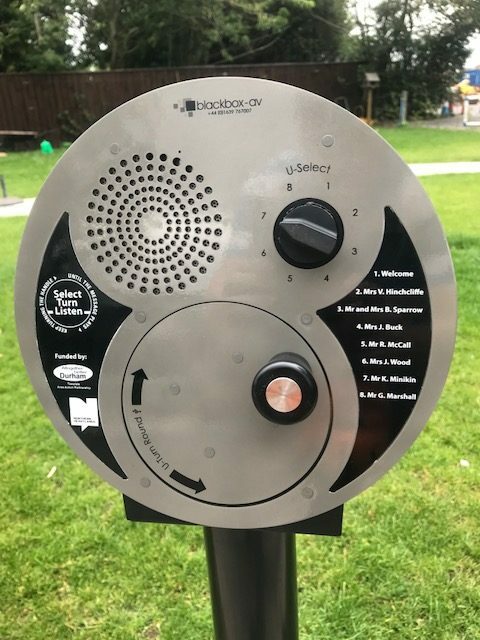 John Atkinson, who worked at Radio Teesdale, recorded the interviews and they have been installed on the U-turn device allowing the school community to listen to them. This has been a great addition to the Railway Heritage Garden. Click below to listen to some of the interviews conducted by the children of Montalbo Nursery and Primary School. These are just two of the recordings that can be heard on the Uturn itself in the school garden.